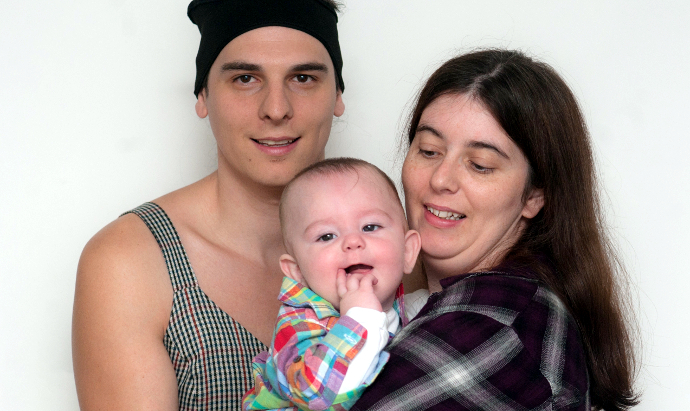 Jamie and her partner Samantha believe that the subject of fertility preservation and parenthood should be addressed early on with people considering gender transition. 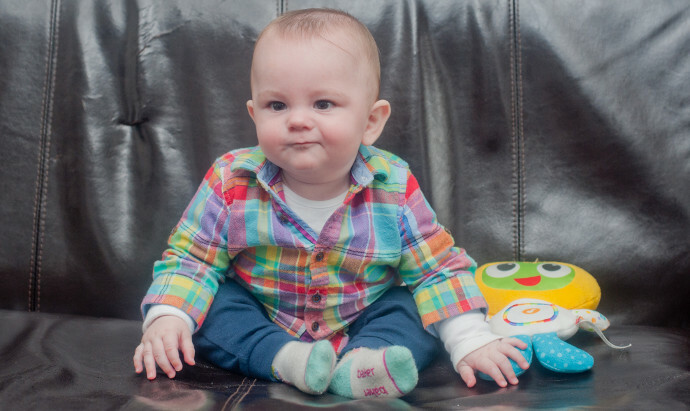 Jamie lives with her partner Samantha and their six-month-old son Toby in Cambridgeshire. The conversation about fertility preservation happens too late for many transgender individuals. Jamie says “There doesn’t seem to be that much support for trans people prior to transition with regards to fertility preservation and storing sperm or eggs. I think the best time for the issue of fertility preservation to be broached is once you have seen the psychiatrist or therapist and before you go to the gender clinic. By the time you get to the gender clinic you just want to get on with taking the hormones and having to make a rushed decision about freezing sperm or eggs would just cause a delay and hold you back. Jamie and Samantha started trying for a baby before Jamie transitioned. The couple met four years ago through an online dating site when Jamie was still living as a male. Jamie confided in Samantha that she had sought advice on transitioning from male to female, but it didn’t affect their blossoming relationship and after four months they were living together. “Things got serious pretty quickly,” says Jamie. “We just clicked on our first date and it felt as though we’d known each other our whole lives. I have spent my whole life wishing I was born female. It took me a long while to accept it and do something about it and, because I am autistic, I hadn’t quite understood it”. Like many couples, one of the first things that Samantha and Jamie discussed was the subject of children. 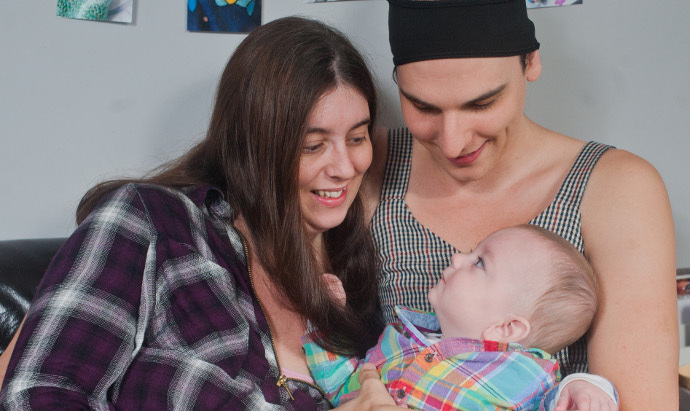 “I had always wanted children and we knew that once I transitioned we wouldn’t be able to have them naturally because the hormone therapy stops sperm production,” she says. The couple started trying for a baby in earnest and assumed that as they were still in their mid-twenties they wouldn’t have any difficulties conceiving. The couple went back to their GP and were referred for hospital tests which revealed that there were issues with both of them which could be affecting their fertility. They were told that they would be eligible for fertility treatment. At Bourn Hall Samantha and Jamie had IVF using a process called Intracytoplasmic Sperm Injection (ICSI) – which involved individually injecting one of Jamie’s sperm in to each of six eggs harvested from Samantha – before one embryo was transferred to Samantha’s womb. 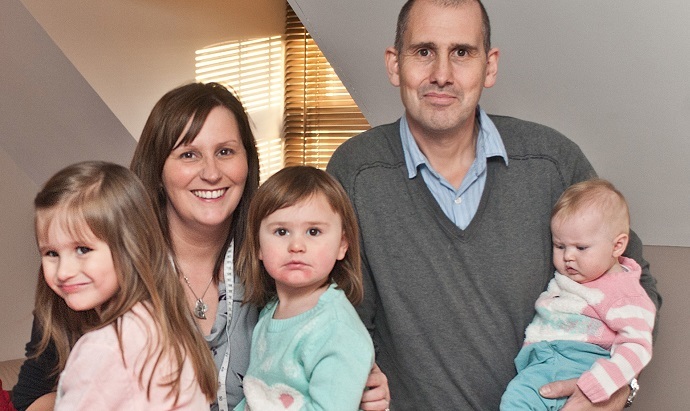 A remaining embryo was frozen at Bourn Hall – as well as 22 units of Jamie’s sperm – the maximum allowed – for future IVF treatment should they want it. 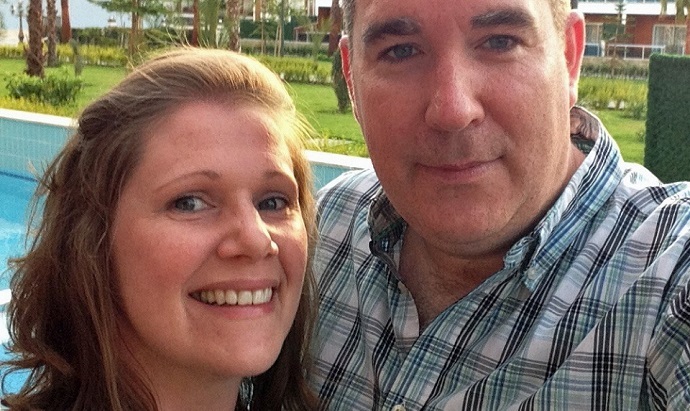 The couple were delighted when their IVF treatment worked first time and Samantha vividly remembers their first scan at Bourn Hall. “We saw his little heart fluttering on the screen and we both cried,” she says. In April 2018 Samantha and Jamie welcomed their son Toby in to the world. “I love being a mum and I cannot put in to words how much I love him,” says Samantha. Having lived as a woman for two years Jamie is now attending appointments at a gender clinic in London and has been taking female hormones for 8 months. Toby will call Samantha ‘Mummy’ and Jamie ‘Mum’. His birth certificate lists Jamie as the father under her previous name and Jamie feels no need to change that. Hormonal and surgical treatment for gender dysphoria can impact on fertility. Fertility preservation techniques, such as sperm and egg freezing, before transition, offer the opportunity to create a family through assisted conception in the future. For more information on the transgender services provided by Bourn Hall Clinic, which has clinics in Cambridge, Norwich, Wickford and Colchester, visit our treatment page here.